Propane and butane are both combustible fuels derived from petroleum. They are commonly used as cooking fuels, particularly in portable camping stoves, according to Michael Hodgson, author of "Camping for Dummies." While there are many similarities between these gases, there are also subtle differences. Choosing between a propane and a butane stove is largely a matter of personal preference, but you should consider the similarities and differences. Contrary to the notion that propane burns hotter than butane, the heat output is identical. Both fuels deliver the same BTUs (British thermal units), so neither flame is hotter, according to The Adventure Network. One will not boil water or cook food faster than the other. According to David Thornber of Caravanning Now, butane has about 12 percent more energy than propane by volume. This means that you can cook longer with a bottle of butane than with a propane bottle or cartridge of the same size. Butane stoves are typically more convenient and easier to connect to a fuel container than a propane stove. According to Thornber, this is because butane containers features clip-style connectors, while propane containers have screw-on connectors. This distinction only applies to larger stoves--smaller stoves use cartridges that have the same types of connectors. 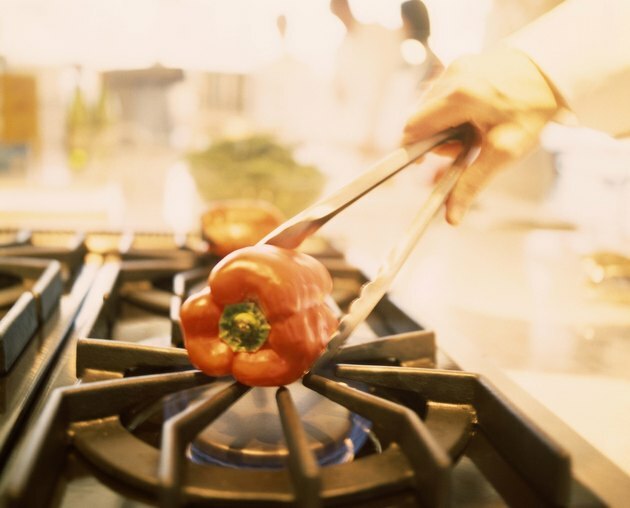 Cooking fuels must be in a gaseous state before they can be used with a stove. Standard butane boils at 31 degrees F, while propane boils at -43 degrees F, says The Adventure Network. This means that if you are cooking in freezing weather, butane will not work well because it will remain in a liquid state. You would need to warm the container before using it in cold weather. Many modern camping and portable stoves can run on either propane or butane. According to The Adventure Network, there are propane/butane hybrid containers available in the United States. The advantage of hybrid cooking fuel has come into question, though: Tests conducted by MSR Labs indicate that the propane burns off first, then the butane serves as the cooking fuel until the container is empty. Caravanning Now: Which Type of Gas Should I be Using?